Fluff, fur and more fluff! 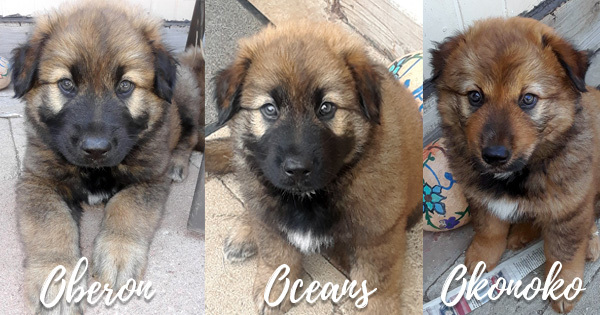 This litter of Shepherd blend puppies was rescued from the inland desert of Los Angeles County and created quite a fur-fuss when they arrived at Helen Woodward Animal Center in early June. Totaling five fluffsters in all, Oberon, Oblivion, Obsidian, Oceans and Okonoko were living in a remote desert community with no easy access to public services or communication channels. They had no owner, and their mother was a notorious area stray, always evading any and all rescue attempts. A Good Samaritan took pity on the five puppies and fed them the best he could. But as they grew, it was obvious they needed to find homes before they, too, would escape and add to the stray dog population. He called a local rescue partner begging for help. He was old and frail and could not capture the puppies on his own. 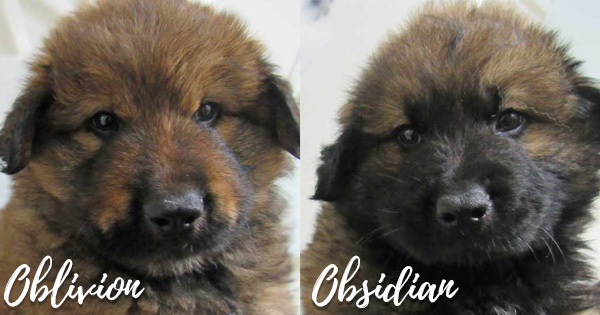 The rescue partner caught the five pups, already gigantic at only 6 weeks of age, and called the Adoptions staff here the Center to see if we had room for this quintet of colossal cuteness. 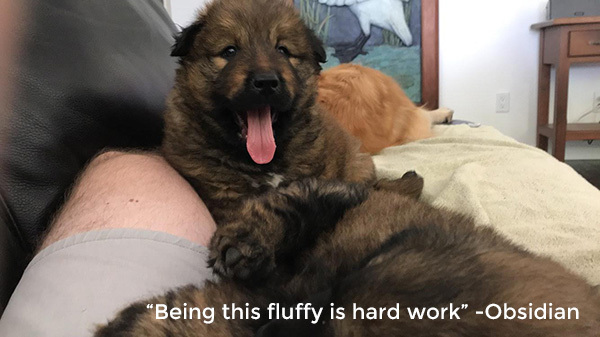 How could we resist those furry, fuzzy faces?! 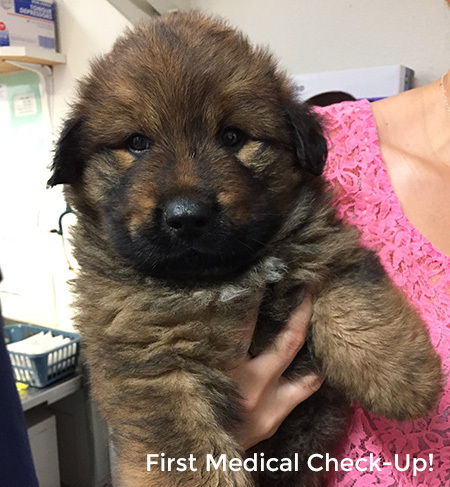 On June 6, the O Puppies arrived at the Center and began their regimen of vaccinations! We called them the Space Bears because they’re HUGE and also out-of-this-world cute. Don’t you agree? 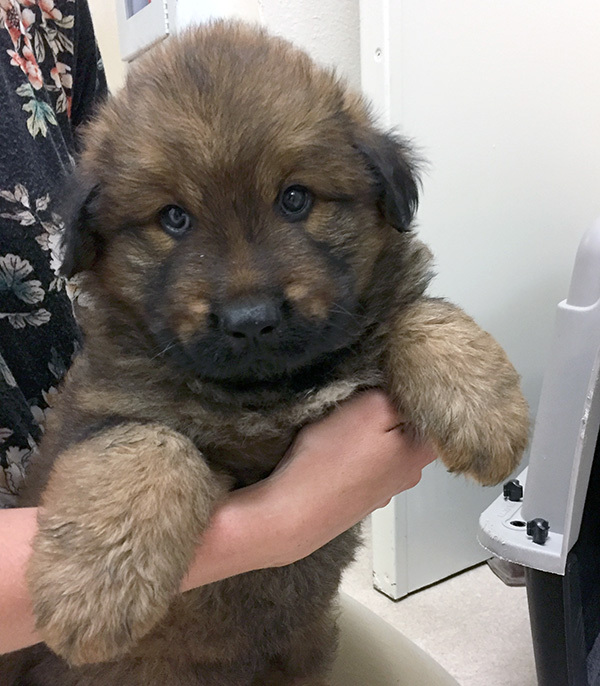 For 2 weeks, “Da Bears” were treated to tons of TLC from foster families while their vaccinations took full effect. After receiving their spay/neuter surgeries, they became available for adoption and were quickly scooped up by forever families! We wish these five precious pups and their new families all the best. The best dog on the planet is waiting for you! Check out our Adoptable Dogs page to see who’s currently looking for a home.